Polaroid announces a new line of easy to use automobile dash cameras in the Polaroid booth #13614 at the 2015 International Consumer Electronics Show Jan 6-9 in Las Vegas. Not only does the range of Polaroid dashcams provide creditable documentation of events that occur on the road, acting as a personal eyewitness, but added safety features and warning systems provide an extra level of security for new and experienced drivers alike. Polaroid dashcams also add a new element of fun to the daily drive. With a dashcam in place, drivers will always be in a position to capture the unexpected – and sometimes incredible – moments that often seem to occur when behind the wheel. With a dashcam, drivers can instantly share these moments with others through their social channels and back up their ‘you’ll never believe what I saw while driving’ stories with proof! 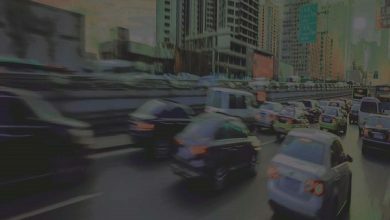 Drivers are increasingly spending more time in their cars, with many of those hours clocked during busy rush hour commutes when accidents are more prone to occur. 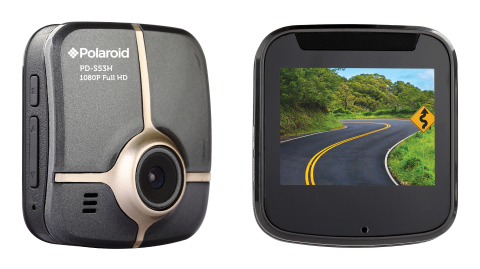 The Polaroid line of in-vehicle dashcams records in full 1080p HD to capture any incident in crisp, clear detail to help protect drivers in the event of an accident and to document what actually happened for insurance purposes. A built-in G-sensor automatically saves a recording when a collision is detected, and a GPS tracker records the location and speed, providing accurate data when an event occurs. Additionally, select models include added safety features such as a lane departure warning system, front collision warning system and speed limit indicator to help prevent incidents from occurring. These features make Polaroid dashcams an essential on-board accessory and influence the way we drive for the better, encouraging even safer driving habits amongst all drivers. These cameras range from $59.99- $199.99 and will be available in Spring 2015.